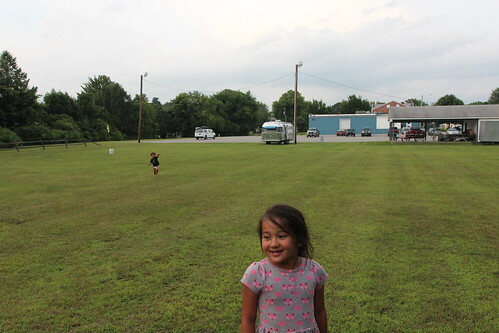 Mali Mish – Vermont: August 2014. 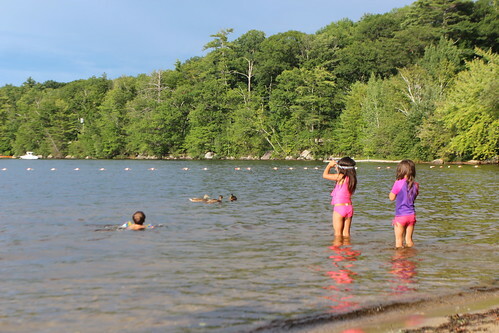 Being in the middle of summer, we knew that all of the campgrounds were going to be full. Luckily for us, we found an Elks Lodge with plenty of space. We were pretty much here by ourselves. 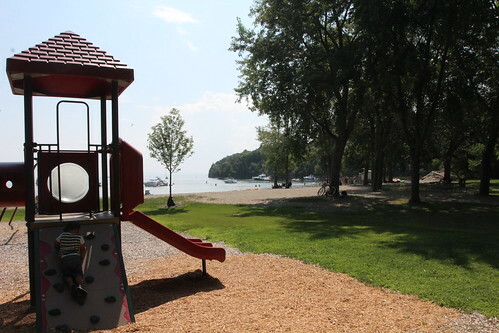 The town of Burlington is pretty much as amazing as we had imagined. It is just about the right size so it has everything you would want but not so crowded that traffic is not really a problem. Just down the road is North Beach Park. 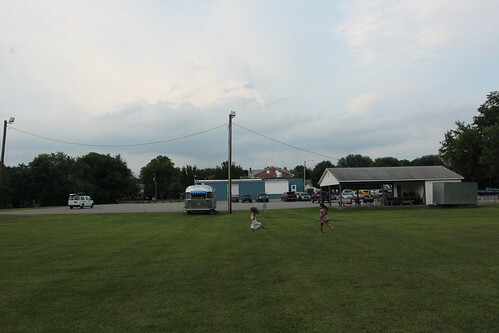 This is the park where we would have tried to camp had we not found an Elks Lodge nearby. 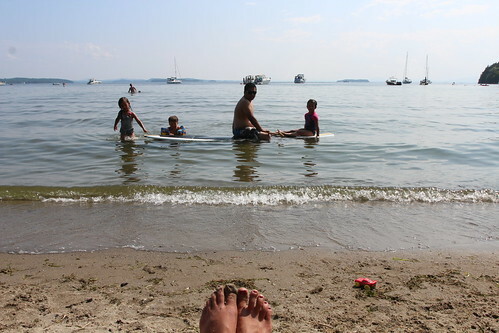 Even thought Burlington is pretty much just south of the Canadian border, the water temperature of Lake Champlain at North Beach is surprisingly warm. 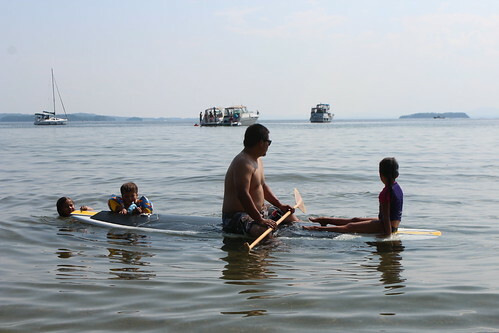 We loved swimming and paddling in Lake Champlain. This is the last photo of me and my sunglasses. Shortly after this, I paddled out and lost my shades when I fell off of my board. 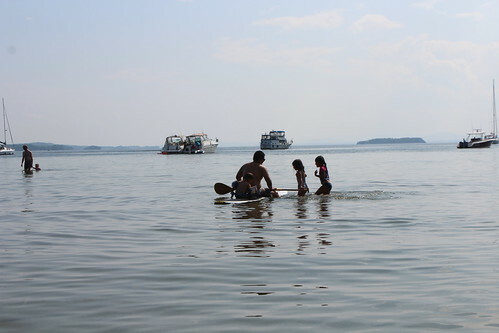 As warm and clear as the water is, I went too far out and they will forever be buried in the abyss of Lake Champlain. 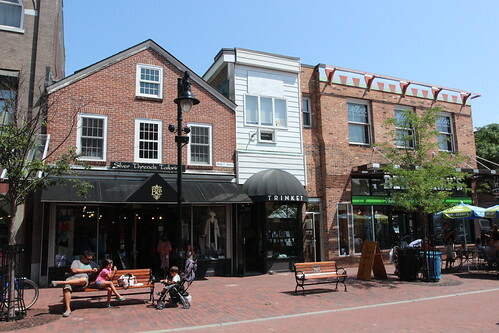 Downtown Burlington is a really cool spot full of great restaurants, bars and stores. 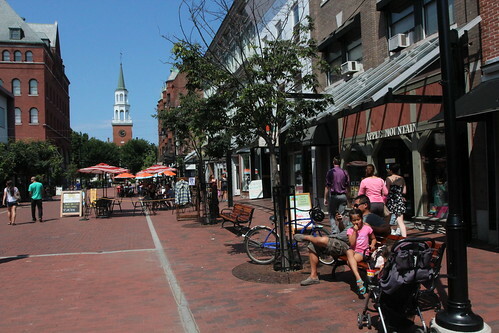 Part of why Burlington is popular and cool is because of University of Vermont, Burlington. 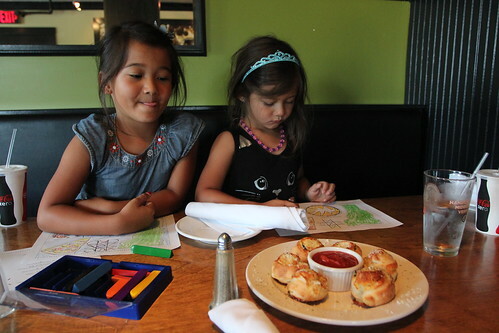 The younger population brings the kind the lifestyle that is attractive to tourists. Of course it doesn’t hurt that one of the most popular ice cream companies got its start here. Being a big fan of burgers, I looked up to see where I can find a good one. 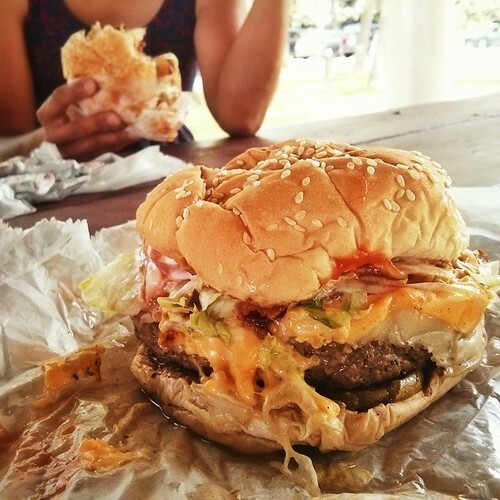 It just so happens that The Food Network had named ‘Best burger of Vermont’ at ‘The Shopping Bag’. This is Vermont’s best burger. 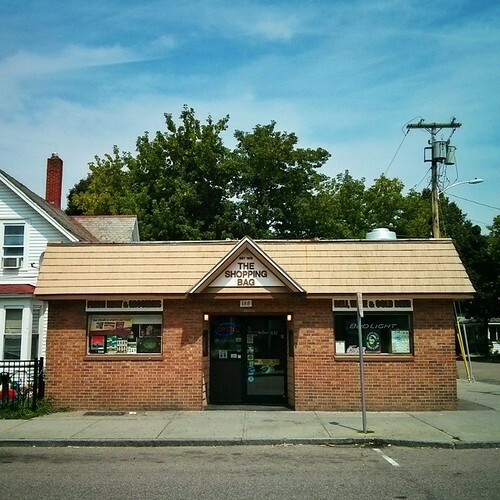 The unassuming little convenience store in a working class neighborhood of Burlington. There are no tables or chairs and you must take it to go. Look at this burger, you really don’t need to taste it to know how good this is. 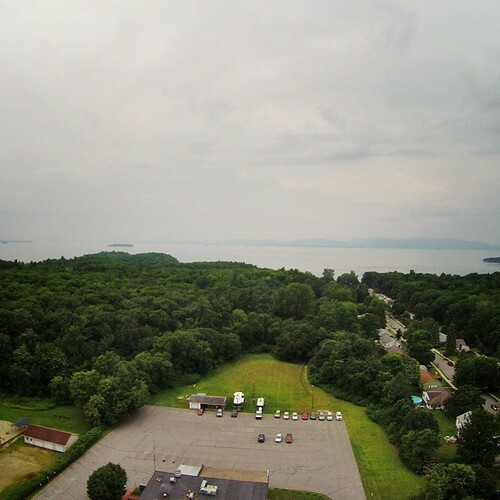 After we spent a couple of nights in Burlington, we started making our way east towards Maine. 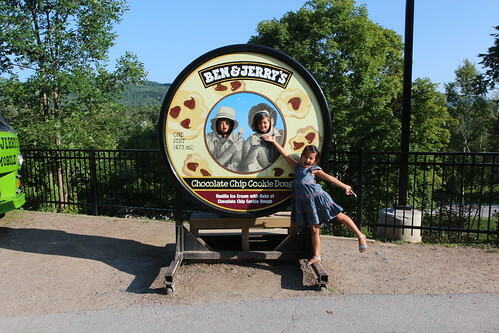 Of course we had to stop at the Ben and Jerry’s factory in Waterbury, Vermont. 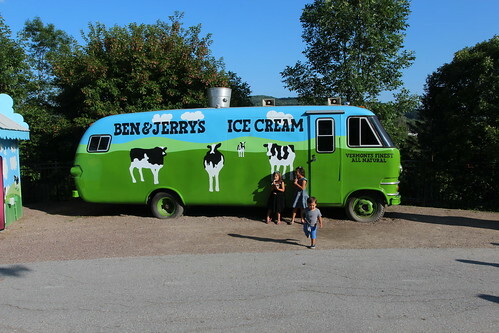 When Ben and Jerry was just getting started, they bought a Travo motorhome and toured the country promoting their hand-made ice cream. Unfortunately it caught fire and burned to the asphalt near Cleveland on their way back from the west coast. This is a reproduction build from the same make and model. At the end of the factory tour we were served with a special concoction of banana-flavored ice cream which turned out to be a dud for the kids. That means I got to eat 4 banana ice creams. 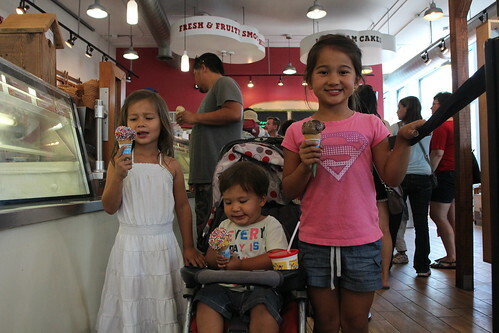 It also means I had to hit up the counter and pay for 3 more ice creams. 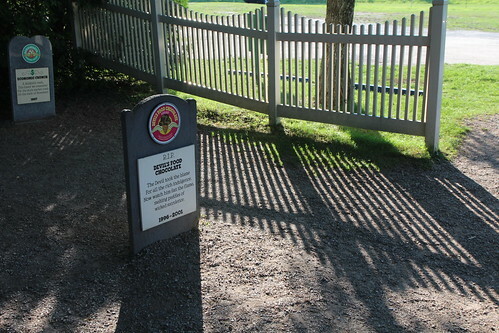 On the property of Ben and Jerry’s is a graveyard of ice cream flavors. This is where unpopular ice cream comes to die. 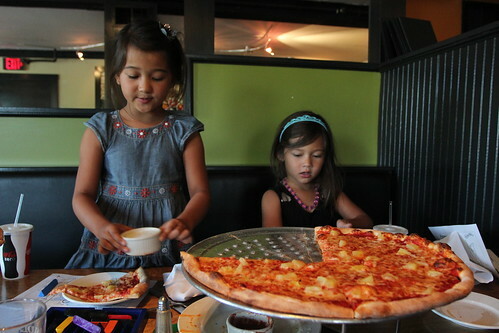 As we left Ben and Jerry’s, we made another stop at the town of Stowe, Vermont to eat at another much-hyped eatery called Piecasso. This place came highly recommended and it didn’t disappoint. 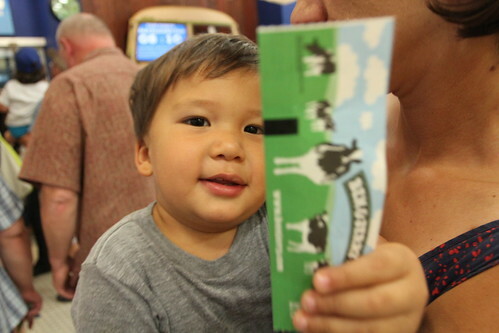 We will need to come back to Vermont to do some more exploring but we will be heading into New Hampshire next.